Isle Of Wight Festival - Ventner Gardens - Saturday 8th June. Dervish came together in the North West of Ireland in 1989, to record an album `The Boys of Sligo' . The five musicians involved - Liam Kelly, Shane Mitchell, Martin McGinley, Brian McDonagh and Michael Holmes- were inspired by the project and decided to develop the informal gathering into a working band. The name Dervish means any group of poor but spiritual people who become enraptured by music. 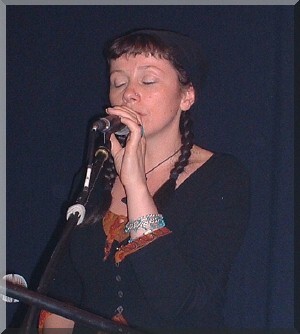 Over the following two years Dervish added Roscommon-born singer Cathy Jordan in 1991, and All Ireland Champion, Shane McAleer replaced Martin McGinley on fiddle This line up released the album `Harmony Hill' in 1992. The impact of the recording was immediate. Its artistry, musicianship and maturity won outstanding praise from the media placing Dervish to the forefront of the bands working on traditional Irish music. With substantial TV and radio exposure Dervish soon became one of the most sought after acts for live performances. The demand led to the band touring continuously through Europe in 1993, performing at all the major folk festivals. In 1994 their keenly awaited second album `Playing with Fire' was released. 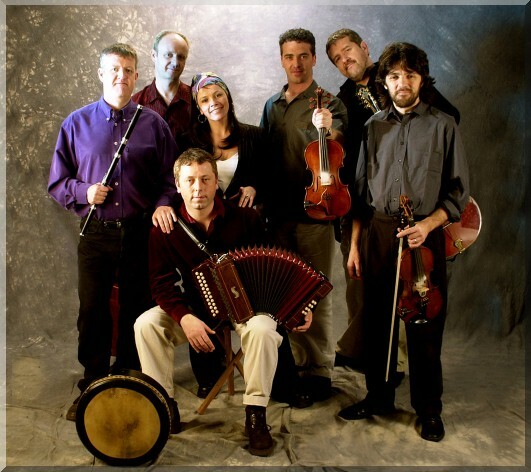 Reviewers and critics alike lauded praise for the album confirming Dervish status as the pre-eminent Irish traditional band. The album reached number 1 in the Irish Folk Music Charts where it stayed for several months. With their reputation firmly established, Dervish's albums were released in the USA. and the demand for the band took off in dramatic terms. Performances at enormous festivals like Wolf Trap and San Francisco projected Dervish into a new sphere of operation on a world-wide scale. Recognition for the band's achievements followed with nominations and awards in a variety of Traditional/Folk polls including two in the IRMAs. In August 1996 Dervish released their third album `At the End of the Day', which won the "Hot Press" Trad/Folk Album of the Year award against mainstream legends like Christy Moore and Donald Lunny. In the same year the band performed a series of concerts in Hong Kong and Malaysia. Dervish concerts range from high energy tunes, played with fluidity and intuitiveness, to beautifully measured songs. All the elements are drawn together by Cathy Jordan's masterful stage-presence. Her stories to the songs, the interaction with the audience, draws people into the music in a way very few performers can achieve. All this can be found in their fourth album `Live in Palma', a scintillating performance recorded in front of a captivated audience at Palma de Mallorca's `Theatre Principal' in April 1997. This double album has been hailed by critics as one of the best live traditional recordings of our time. The music, melodies and witty banter on the recording seems masterful and effortless. The decision to record was made only hours before going on stage for this virtually flawless concert. Also in 1997 readers of "Irish Music" magazine to award Dervish with the Best Overall Trad/Folk Band of the Year Award. Liam Kelly: flute and whistles. Cathy Jordan: vocals, bodhr�n and bones. S�amus O'Dowd: guitar, fiddle, harmonica and backing vocals.